The ‘Malazy, Where I Dance’ photo exhibition by Ahmed Hamed will take place between 5 and 7 February at Tadamon Council. The exhibition, organised by the Egyptian Multicultural Refugee Council Tadamon, presents a series of photographs by Hamed from a dance workshop organised by Italian dancer Maria Stella. 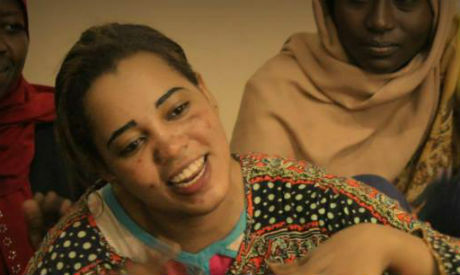 Malazy, which translates to refuge, is a project aiming to create safe spaces for refugee women residing in Egypt, especially in the Hadayek El-Maadi neighbourhood, which holds a large community of refugees from Sudan, South Sudan, Somalia, Ethiopia, and Eritrea. The workshop concluded with an artistic show combining Stella’s choreography with the traditional dances of the countries where the refugee women are from. During the three-day exhibition, Tadamon will host a storytelling show by the refugee women on 5 February, and a photography workshop on 6 February. The exhibition will also be a discussion on the aspirations of refugee youth in Egypt in 2019 in the presence of Hassan Ghazali, the head of the African Youth Office at the Egyptian Ministry of Youth and Sports. Hamed is an award winning photographer with prizes from the United Nations Organisation of the Alliance of Civilisations, UNESCO, and the European Union. He received the first prize of the competition 'Beautiful Egypt' organised by the Egypt's Coptic Orthodox Church.